Steve Bannon is attending his first fundraiser for a House Republican incumbent. The member is Lee Zeldin, from New York's first congressional district. 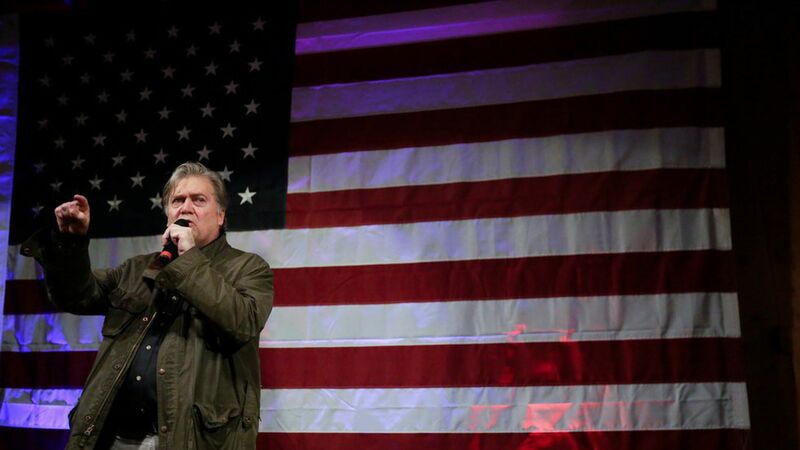 Why it matters: A source close to Bannon said he is starting to focus more attention and bandwidth on House candidates and will be campaigning with and for some of them. A second source close to Bannon said this would be the first of a number of fundraisers he's expected to attend. "He has requests from numerous top tier Senate candidates to headline fundraisers for their campaigns," the source said. Zeldin recently introduced Bannon at the Zionist Organization of America's annual gala. Zeldin, a hawk on Israel, got the crowd roaring when he told the story of how Bannon refused to show up for work at the White House on the day President Trump hosted Palestinian leader Mahmoud Abbas. Zeldin recounted that Bannon told his friend Arthur Schwartz — a co-host of the upcoming fundraiser on Dec. 14 along with GOP powerbroker Wayne Berman — that he wouldn't "breathe the same air as a terrorist." When Bannon was in the White House he met often with Zeldin on Iran issues.